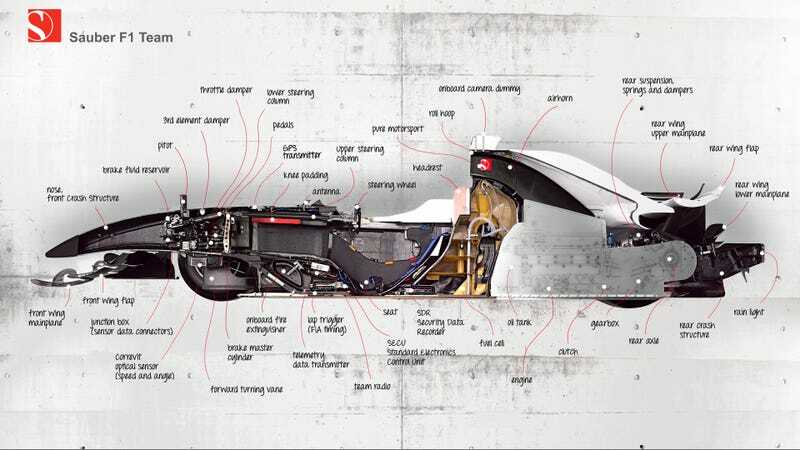 A few months back Sauber F1 showed off an F1 car cut in half. That project took two years, but they didn't have the rights to show off the BMW drivetrain. Now they do. 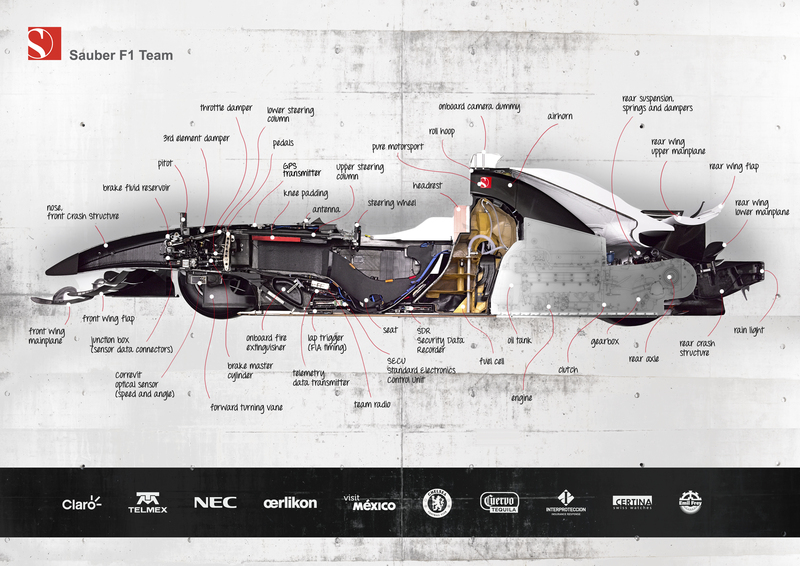 What Does An F1 Car Look Like Cut In Half? Well, the engine and gearbox are still grayed out, but you can finally see the full car splayed out like a frog in junior high school. You can find the full 3508x2480px image here.